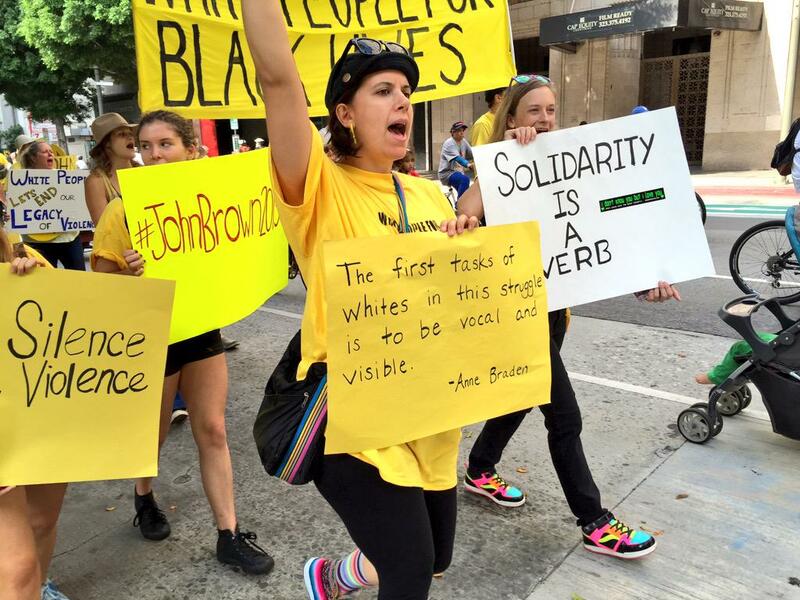 On Sunday, October 18th, White People for Racial Justice, a Los Angeles-based white anti-racist collective and SURJ affiliate, organized a demonstration on the impact of racism and police brutality. 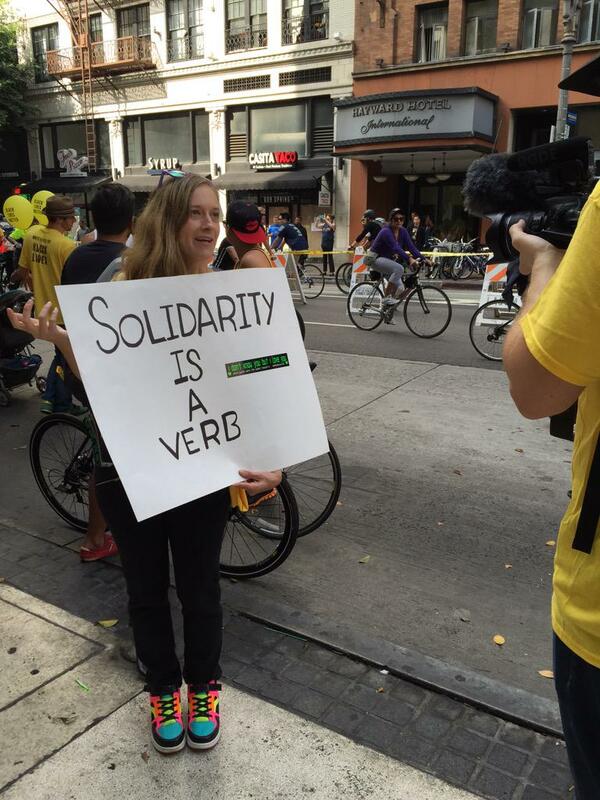 The action was intended to engage audience of white cyclists at the City’s CicLAvia event. 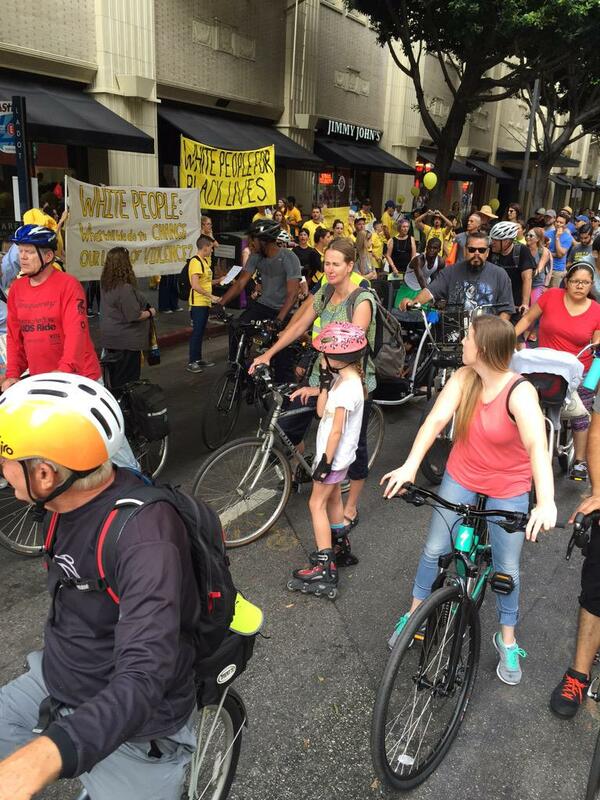 CicLAvia regularly provides the opportunity to experience an eco-friendly, progressive vision of Los Angeles without cars - one that is safe for those who travel on bikes, are concerned with protecting the environment and want to experience a sense of connection and community. 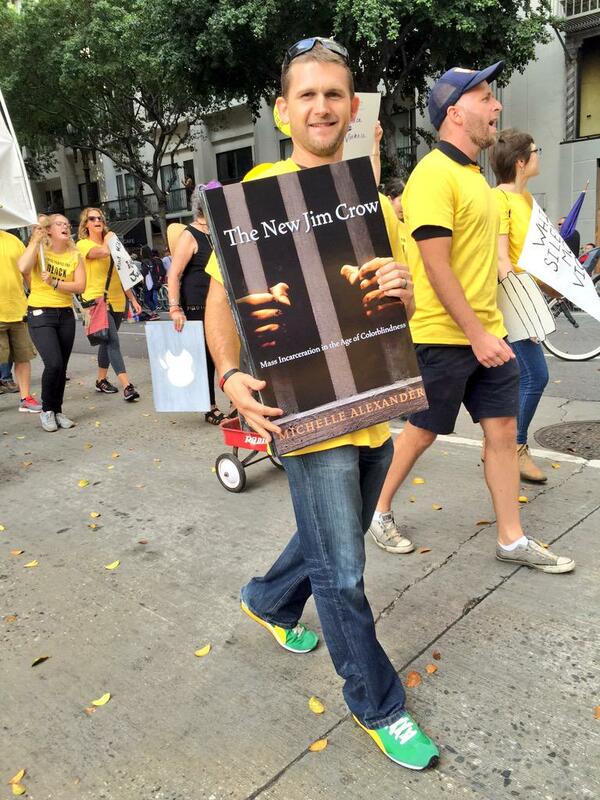 White People for Racial Justice’s aim was not to disrupt this experience, but to complement it, by pushing the vision further, asking white people to consider what it will take to create safety for Black lives and to end police abuse and brutality. In recent months, the Black Lives Matter movement has brought police brutality and racism to center stage, yet many white people choose to remain disengaged and fail to confront racism in America. 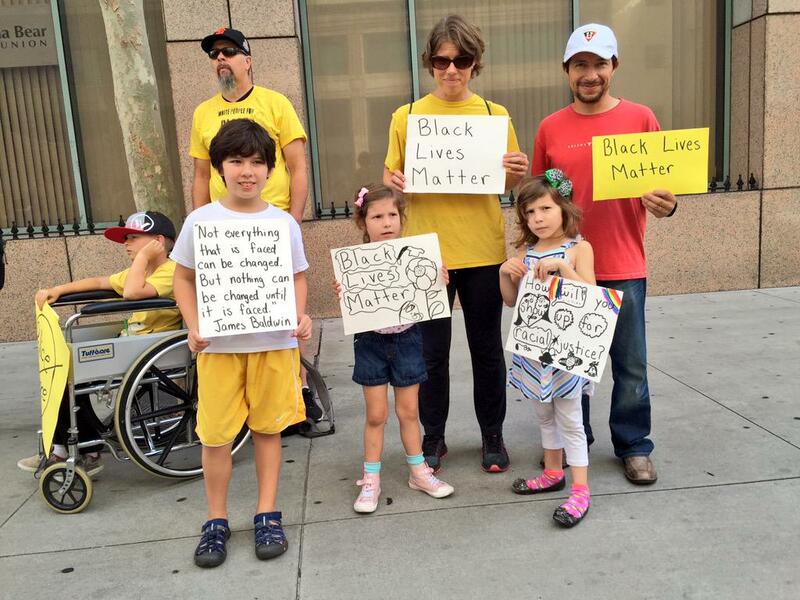 Polling shows that most white people agree with current police tactics. Most white people feel largely irresponsible for contributing to a culture that creates racist policing practices. 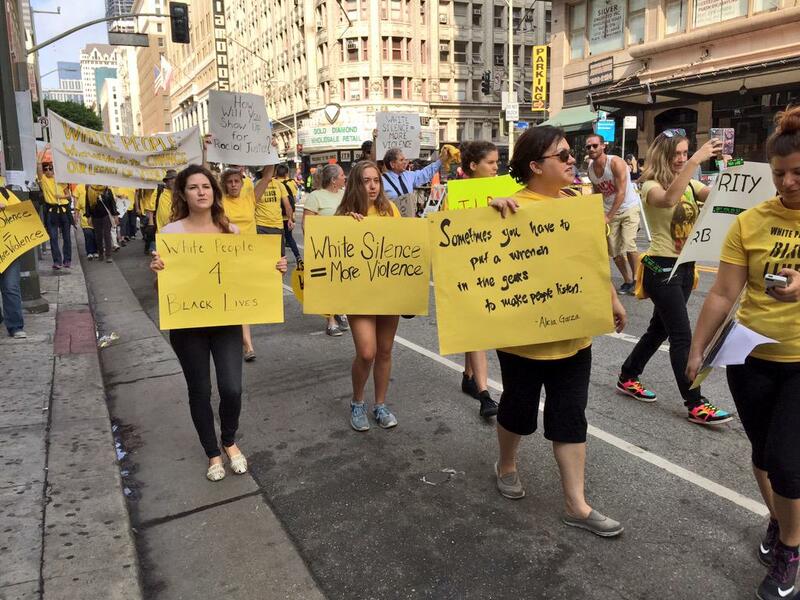 White People for Racial Justice believes it is incumbent upon white people to confront race and racism, and directly counter white silence and complicity with the current system that allows ongoing killing of unarmed Black people. The collective feels that white people are more likely to listen and respond favorably to other white people. The collective recognizes the inherent flaws of promoting a “colorblind” society that is all too often the dominant narrative in media and politics, and will use this demonstration to demand a shift in the narrative to focus on the differential treatment people experience based on race. 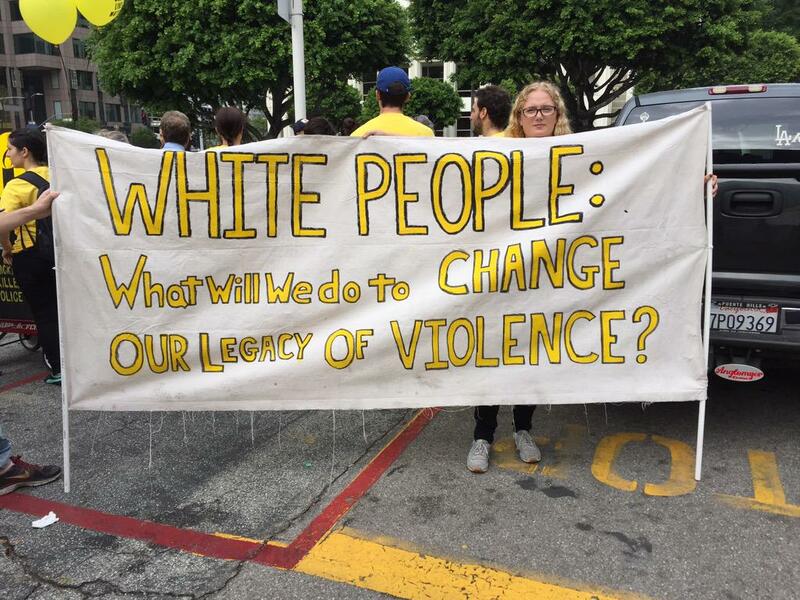 White People for Racial Justice is an anti-racist collective of white people acting in solidarity with Black Lives Matter LA; it functions as an action project of AWARE-LA (Alliance of White Anti-Racists Everywhere).